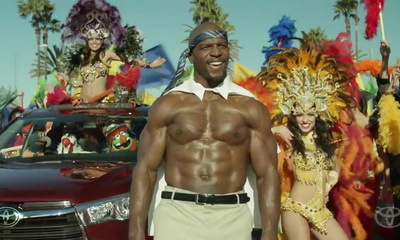 Well, I think I might have already found my favorite Super Bowl Commercial. Sure, watching VW engineers fart rainbows is fun, but having The Muppets take over Terry Crews’ car is just all kinds of awesome. Along with Crews, the 2014 Super Bowl commercial also featured the complete Doctor Teeth and The Electric Mayhem, Kermit, Sweetums, Pepe, Rizzo, Rowlf, as well as an assortment of chickens and singing veggies.